The Capricci collection has seven different jackets that can be interchanged and worn as different nose pins. 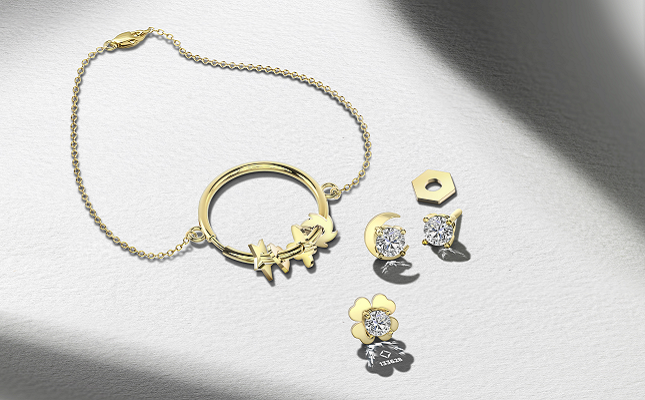 The complete collection comprises one classic diamond nose pin, two diamond stud earrings and a charm bracelet. The jackets can also be attached as charms to the bracelet. Noise pins are the second-most popular type of jewelry in India after rings. Capricci, The Nose Pin Collection is available in Authorised Forevermark Jewellers.